Dr. Kramer integrates Condor client services with the latest applicable science and advanced technology. 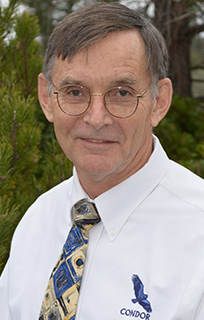 His technical competencies include groundwater science, aqueous geochemistry, well hydraulics, engineering geology, soil physics, data evaluation and statistical processing. Dr. Kramer authors technical reports and manages client compliance with numerous regulatory programs (RWQCB-ROWD, WDR provisional reports, and MRP compliance, NPDES, County CUP, Lead Agency CEQA, and others). He has authored peer-reviewed scientific articles, book chapters, and presents programs at scientific society and professional association meetings.